In my previous post on this topic I wrote that it looked like the Commission had changed tack to propose a pre-market authorisation (PMA) for medical devices after all. It turns out that I had drawn that conclusion prematurely. This post serves to update and correct the picture. As more information became available after the hearing in which Commissioner Dalli addressed the European Parliament it seems that the Commission has not changed course on the point of PMA. As I understand now the Commission is going to propose a system to ensure that authorities are secure in the work that notified bodies are doing, consisting of a pre-market scrutiny mechanism for the quality of Notified Body assessments for high-risk devices. Let’s take a look at the background to the resolution, because there is less support for a PMA system than there seems to be. First, the European Parliament only passed the PIP resolution which includes the call – by a thin majority – of the Parliament for a shift towards a PMA system for medical devices. That means that the Parliament is still divided over whether PMA for medical devices would be such a good idea to increase patient safety, even if the ENVI Committee, the European Parliament’s Health Committee, likes the idea of a pharma-like system, including PMA, for medical devices as the way forward for increased patient safety. Secondly, while stakeholders from industry remain strongly opposed to a PMA system, they are actually in powerful company. A Dutch report of an informal working meeting of the member states’ ministers of health during the Danish Presidency of the EU on 23-24 April this year that just became available, reports that none of the EU member states was in favour of a PMA system except for France, because they are not convinced that this will solve the problems that were specific to that situation (deliberate fraud). However, that was end of April. Things may have changed in the mean time but this does not seem very likely. In the mean time the proposal for the new regulation has entered the phase of “Interservices Consultation”, which means that other Directorate Generals (DGs) have a number of weeks to submit comments on the proposal, which period ends by 7 July 2012. DG SANCO, the DG responsible for the proposal, is expected to seek to finalise the proposal with any observations it wants to take on board, resulting in a final version around 17 July 2012. Final adoption and publication of the proposal is scheduled for 26 September 2012. 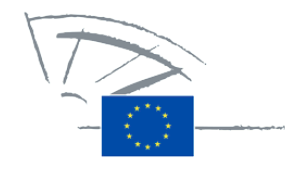 The document will then enter the so called co-decision procedure in which the European Parliament and the Council (which consists of the responsible ministers of the member states) have the opportunity to amend the text and to reach an agreement on their amendments within the following 18 to 24 months. The likely political struggle on the point of PMA – assuming that the Commission does propose a pre-market scrutiny mechanism for the quality of Notified Body assessments for high-risk devices – will in my view revolve around an effort of the pro-PMA forces in the Parliament to seek amendments effectively resulting in specific devices to undergo scrutiny rather than the NB’s work. Indeed, the Commission expects this struggle as both the Council and the Parliament are under pressure to score their political points. So, here you are with the latest developments on the proposal – and completely on point this time (I hope! ).